Erik Redli attended this year's Charlemagne Prize, and is bringing us a series of posts bringing out the key issues of the forum. "Berlin is becoming a melting point of Europe." These were the words of John Holten, an Irish writer and translator living in Germany, at the European Karlspreis Forum 2014 in Aachen, Germany. For a few days, the whole of Europe focusses on Germany whilst Aachen hosts the traditional Charlemagne Prize ceremony. 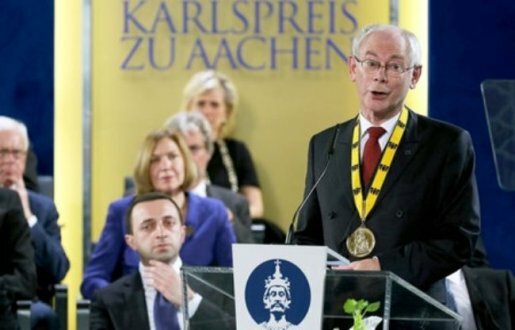 It rewards personalities that have fostered the process of ‘Europeanization' and this year's laureate was Herman van Rompuy, the president of the European Council. Where is Europe Heading for Young People? Where is Europe heading and what can the young people expect from the Europe of tomorrow? 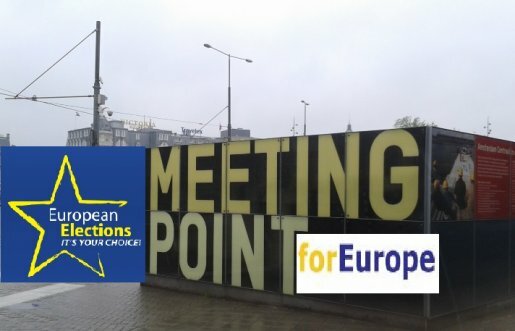 Today's European election has become the forum for parties dissatisfied with their national politics and a presidential campaign for the Europhiles. Who will be the new 'Father of Europe' - bearer of the legacy of Charles the Great? Now, his successor must save Europe from the commercialism, Asian growth and Russian hegemony. Apart from that, there are many problems on the inside. Instead of closer European integration, some parts of the member countries pursue further fission - view the situation in Ukraine. These are some of the opinions that I collected on various social networks and magazines. But the truth is, that decision, and thereby the future, lies in our hands. Obviously, there are big differences in opinion between the particular generations. The Baby Boomers are loyal to the traditional values and rules, and still hold the majority of the senior offices. The following Generation X are rather resourceful individualists who create their own rules and opportunities. Of course that they will find central control from the EU more restrictive. Finally, there is the Generation Y majority, of who are young people and students whom I want to address. The article outlines how they kill prisoners in order to use them as organ donors. It is not only those sentenced to the capital punishment or the victims of accidents. Often, people in labour camps disappear under mysterious circumstances. A year ago, when I visited Oxford, I saw a Chinese exhibition about the Falun Gong. 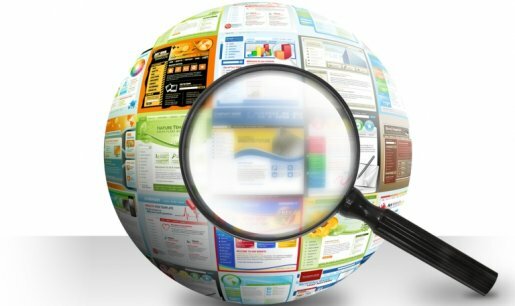 It is a movement associated with meditation and the philosophy of harmony and independence, and its growing popularity is a needle in the eye of the establishment. The members are being persecuted, tortured and executed, and their organs are offered for transplants. 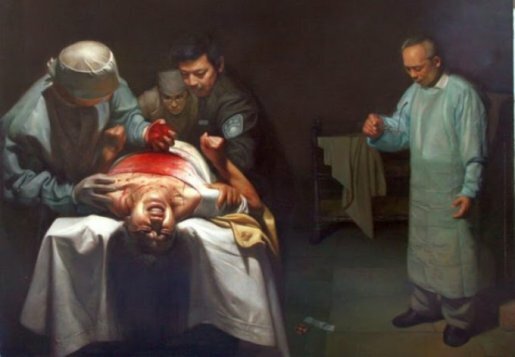 There was a painting of an organ harvesting ‘operation' (above)...pretty awful.